It’s impossible not to get excited by the revival of Pakistani cinema. While we’ve yet to have a proper hit, the meteoric rise in production values can only be a good thing. Momina Duraid’s Bin Roye revealed its small screen origins in terms of dialogue and pacing but the film is a visual treat. From gorgeous locations to the hair and makeup, the film oozes class. It’s the costumes, however, that really stand out. Mahira’s short shirt and shalwar combos are certain to cement the comeback of the shalwar, already being touted by the likes of Maheen Khan’s Gulabo. The film is also full of stunning formals, bridals and jewellery. 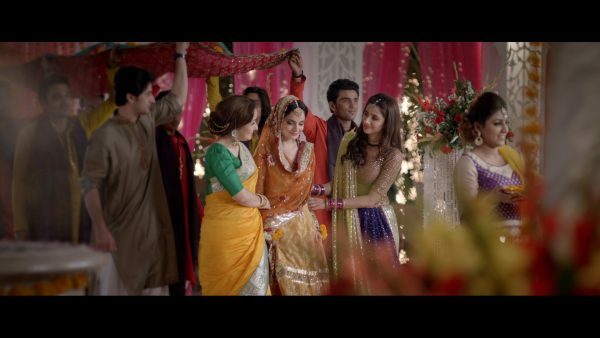 Feeha Jamshed has been cited in the Guardian as costume designer but in fact she only contributed one outfit – Mahira’s eye-catching lengha in the Balle Balle song. The majority of the costumes were from Elan and Sania Maskatiya, with some by Labels. 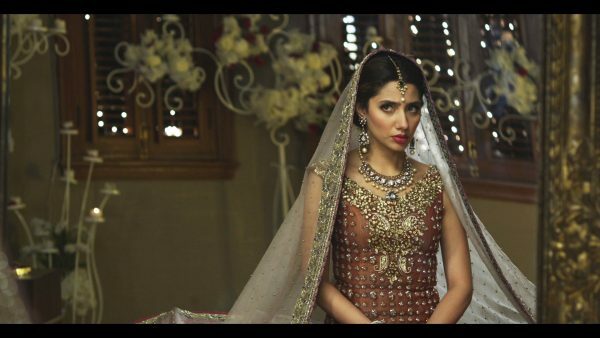 Bin Roye has been in production a long time so we didn’t see the very latest bridal collections from Elan or Sania Maskatiya but there’s still plenty to enjoy. 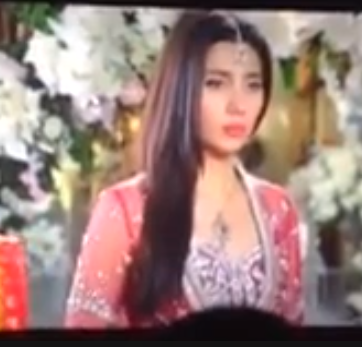 Mahira’s chandraat outfit is classic Sania Maskatiya, with kamdani and a festive colour combination. Her wedding outfit by Elan is similarly an excellent example of Pakistani bridal couture. From elegant pastels to brightly coloured confections, Bin Roye showcases plenty of bridals with a modern Pakistani feel. Pakistan’s fashion industry is both vibrant and talented. A partnership between the reviving film industry and top designers can only be good for both. Great costumes make movies look better while designers gain a platform to showcase their talent – a win-win scenario. Here’s looking forward to more of Pakistan’s best fashion on the silver screen. If you’ve been drooling over Mahira’s outfits, we have the ultimate guide to who designed what for the movie. 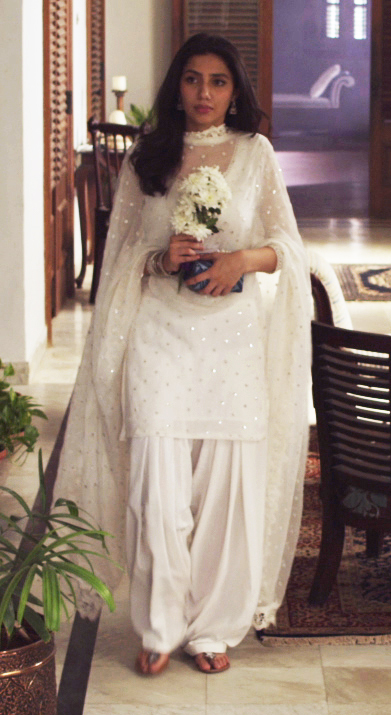 As well as a lot of the bridal wear, Khadijah Shah contributed most of Mahira’s post-wedding casual outfits. 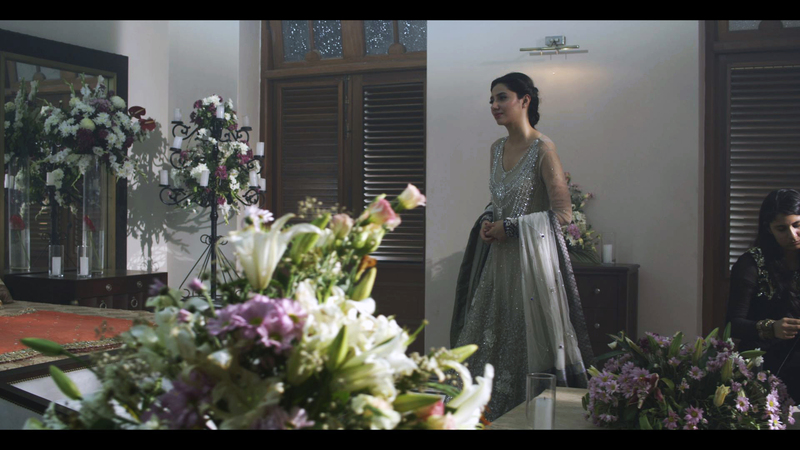 From that gorgeous first Mahira outfit on Chandraat to Armeen’s mehndhi jora and Zeba Bakhtiar’s Eid outfit, Sania Maskatiya added plenty of sparkle to the film. 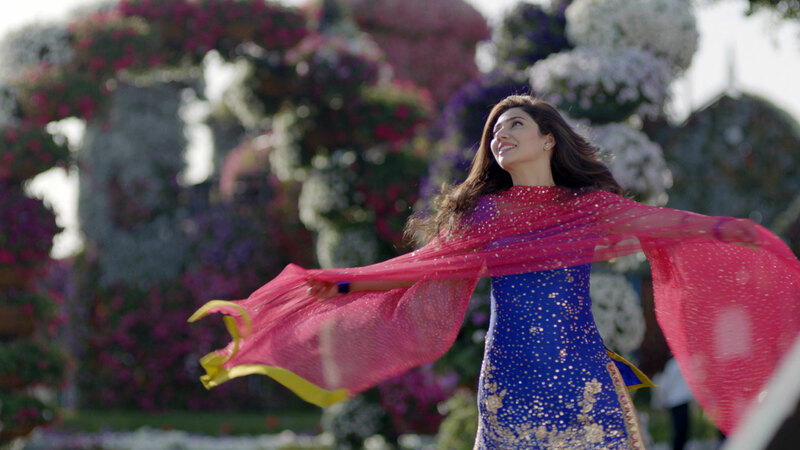 Feeha Jamshed may have designed only one outfit for the movie but her colourful outfit for Mahira’s Balle Balle number is spot-on. Better known as a multi-brand store, Labels has its own line of clothing as well and they supplied many of Mahira’s pre-wedding casual wear. 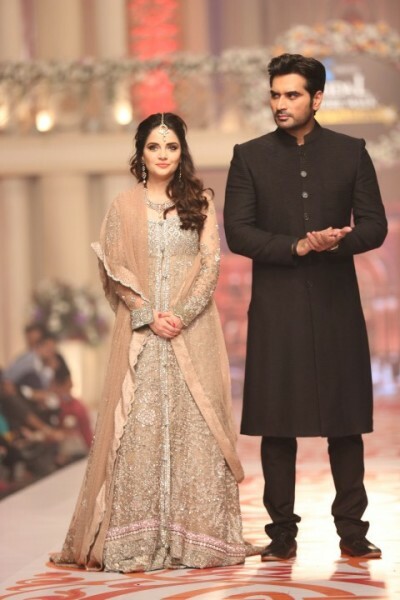 Faisal Habib and Sheherezade Rahimtoola provided the jewellery for the film while Bonanza and Deepak Perwani provided most of Humayun Saeed’s outfits. Salima, warm wishes from the Nation’s Capital and Beautiful Virginia. I love some of the garments I saw displayed by Mahira Khan. I love the way her disruptive fashion style, breaks the monotony of traditional trends. I need a favor, I am tired of being at the mercy of pinterest dead wall site. 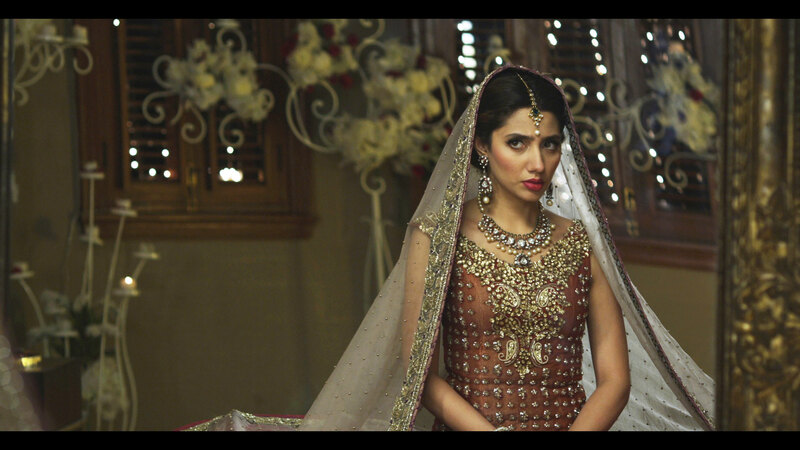 I am looking for a simple list of designers particularly worn by Mahira. I would sincerely be obligated by you.Is Misha Lakhani her fav too I thought I heard her say Misha Jenkins. wanted to know where did Armeen got her make up done from?